With a kick-off meeting from the 25th till the 28th of November (2018), the project “Strengthening the role of youth work in contesting dynamics of shrinking cities” was successfully started in the Human Rights House in Zagreb. Partner organizations from 4 European countries met to discuss the challenges connected to the phenomenon of “shrinking cities” across the European Union and how to deal with it through youth work. The project aims to contribute to building of new strategies of social inclusion and civic engagement for youth residing in Europe’s “shrinking cities”. The project is coordinated by “Documenta – Center for Dealing with the Past”, a non-governmental organization from Zagreb. With a set of different project activities, the partners will focus on good practices from youth workers in shrinking cities in Croatia, Spain, Portugal and Germany. The project will focus on studying the shrinking cities through collection, analyses, and comparison of both the similarities and differences in policy and development, related to youth work in these 4 countries. The foreseen publication will be based on the mapping and analysis of best practices of youth-work in the partner countries, with the geographical focus on shrinking cities and regions. The results will be disseminated in an online toolbox for youth workers in shrinking cities (and beyond) with the purpose to strengthen the competences of youth workers through sharing of new and innovative approaches. During three intensively shared days the representatives of the partner organizations got to know each other. The key terms, goals and tasks of the project, as well as financial agreements and administrative questions were addressed and discussed. An action plan was devised on the project timeline and the content related tasks were distributed among the partners. In addition to the kick-off meeting in Zagreb, the participants will meet again in January 2019 in Weimar, with a purpose to discuss the methodology of the forthcoming mapping activities. The closing conference in April 2020 in Zagreb will offer a chance to participants to present the outcomes of the survey to the wider audience and discuss future cooperation steps. Documenta – Centar za suočavanje s prošlošću (Croatia). Culture goes Europe (CGE) – Soziokulturelle Initiative Erfurt e. V. (Germany). Stiftung Europäische Jugendbildungs- und Jugendbegegnungsstätte Weimar (Germany). UMAR – Uniao de Mulheres Alternativae Resposta Associacao (Portugal). YouthCoop – Cooperativa para o Desenvolvimento e Cidadania crl (Portugal). Asociación Caminos – Asociación para el intercambio educación y desarrollo social (Spain). 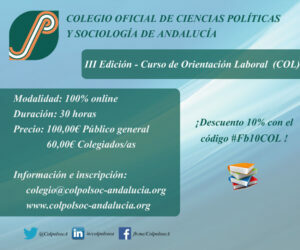 Colegio Oficial de Doctores y Licenciados en Ciencias Políticas y Sociología de Andalucía (Spain).